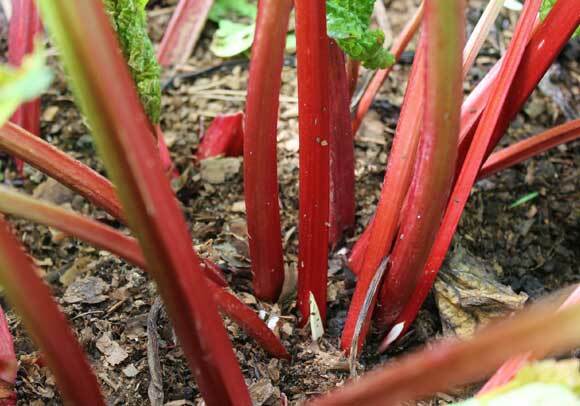 Rhubarb is an easy plant to grow provided you give it the right start out in your garden. It has been a favourite fruity companion to many a vegetable patch the world over for quite some time now and is responsible for some delicious puddings. Quantity 1 plant per family. 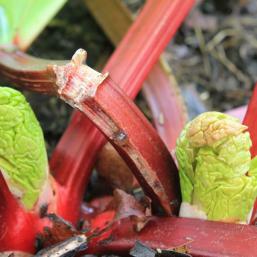 It doesn't take much to make rhubarb sing: Some sugar, a bit of flour, and a pat or two of butter. 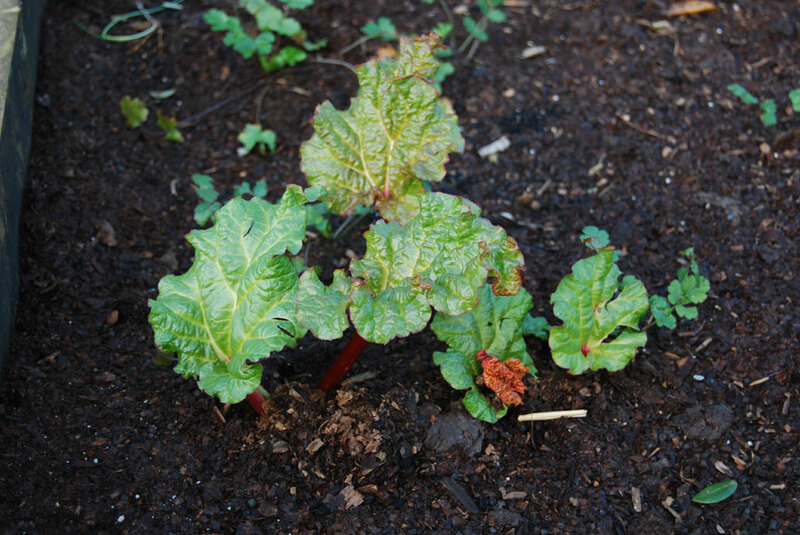 Victoria is the most popular variety of Rhubarb and produces sturdy, thick stems from late spring onwards. 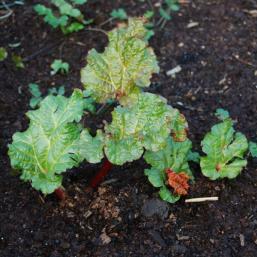 Rhubarb seedlings are normally on the shelves in the spring. 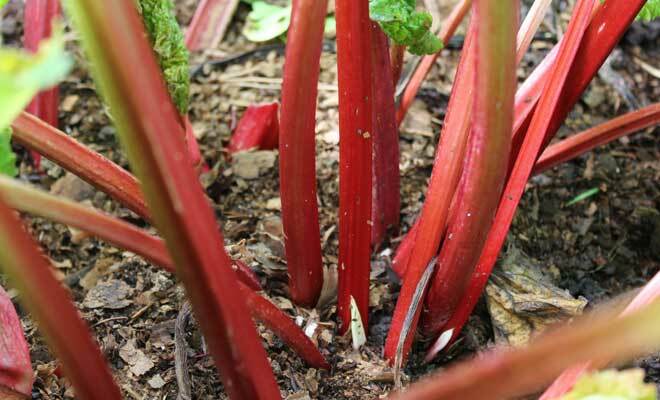 Rhubarb grows best where there is full sun and a super-rich, compost-filled soil. It can easily take up a space around a stride by a stride so make plenty of space for it. It has fairly flashy looking leaves so you can even include it in your flower garden. 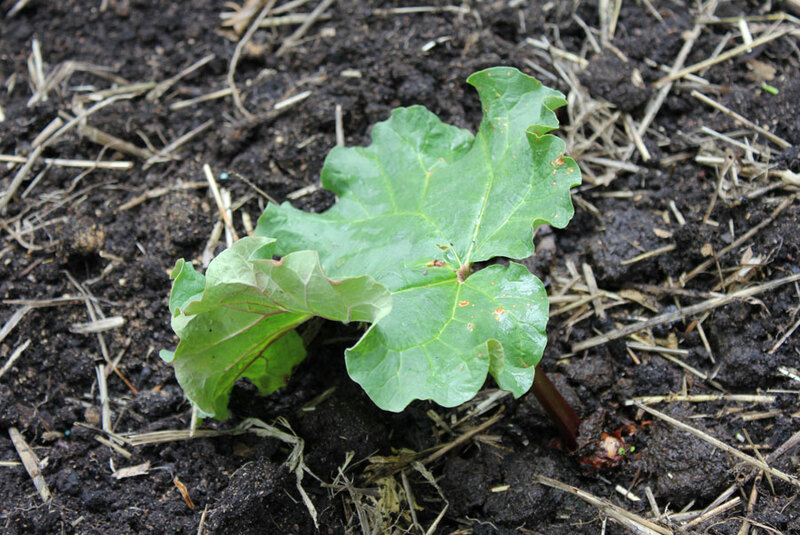 Rhubarb is often planted close to the compost heap where often it finds ideal conditions. Seeing as most compost heaps end up in undisturbed sunny corners of the garden where soil is often damper and richer – thanks to the compost and it’s nutrient-rich run-off. Soil should be as rich as the richest chocolate cake you ever made – filled with well-rotted compost, horse manure or worm compost. 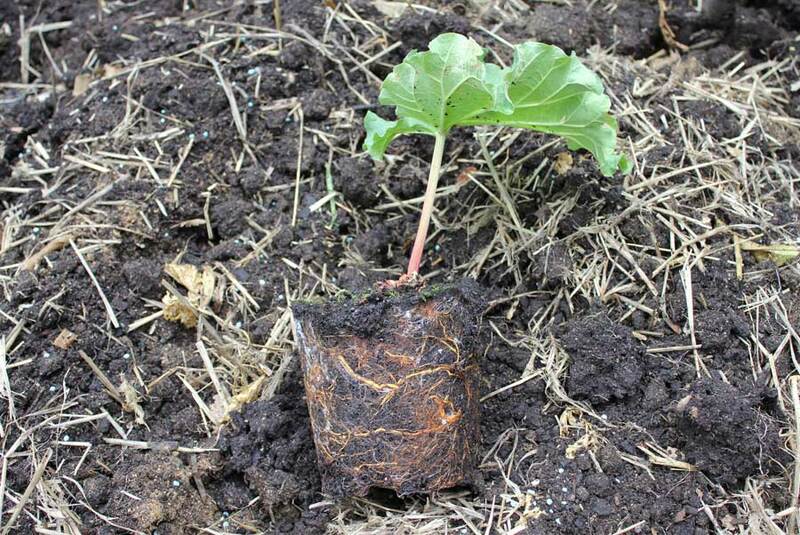 Try to ensure that any weeds have been fully dug out to avoid any disturbance to Rhubarb roots down the line. 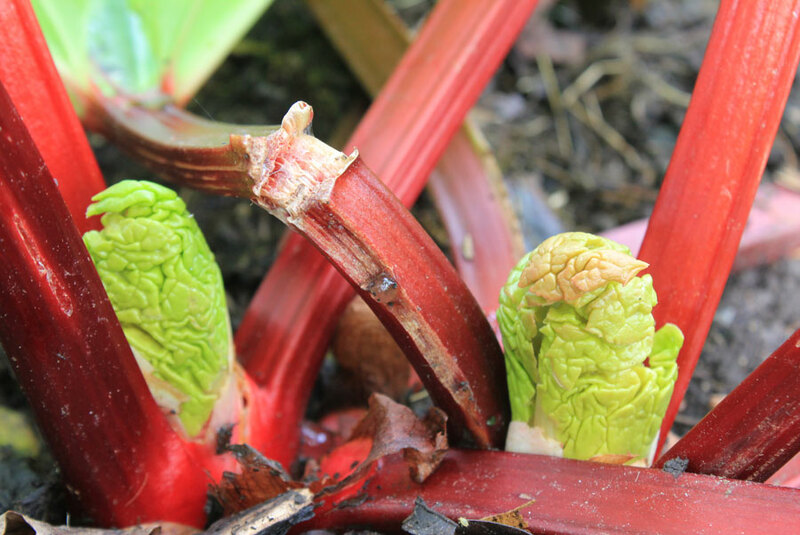 If a gardening chum has a Rhubarb plant ask them for a piece of theirs as long as it is more than a couple of years old. This is basically done as a part of Autumn maintenance on an established plant which is carefully dug up after three or four years and the fresher, outer parts of the plant are cut away in large chunks from the older, tired centre bit and then re-planted. 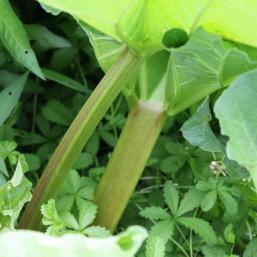 You can use a knife or a spade to cut a chunk – technically called a ‘division’ – away from the main plant. This chunk should have at least 2 buds on it and some healthy looking roots. 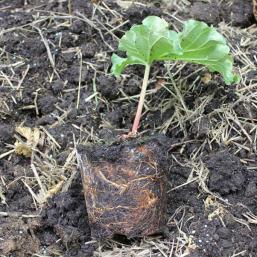 Plant your chunk so that the buds are about a thumb’s depth beneath soil/compost level. Alternatively look out for a seedling, potted plant at your garden centre and plant with garden soil at the level of the soil around the plant when it was in the pot. 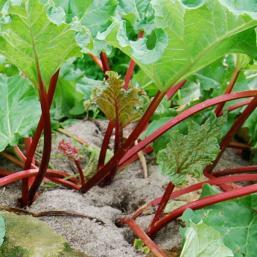 Keep feeding your Rhubarb with liquid feeds and water well if the weather goes dry. Mulch heavily with straw, lawn trimmings and compost around the ‘crown’, or base of the plant, to help keep in moisture and suppress weeds. 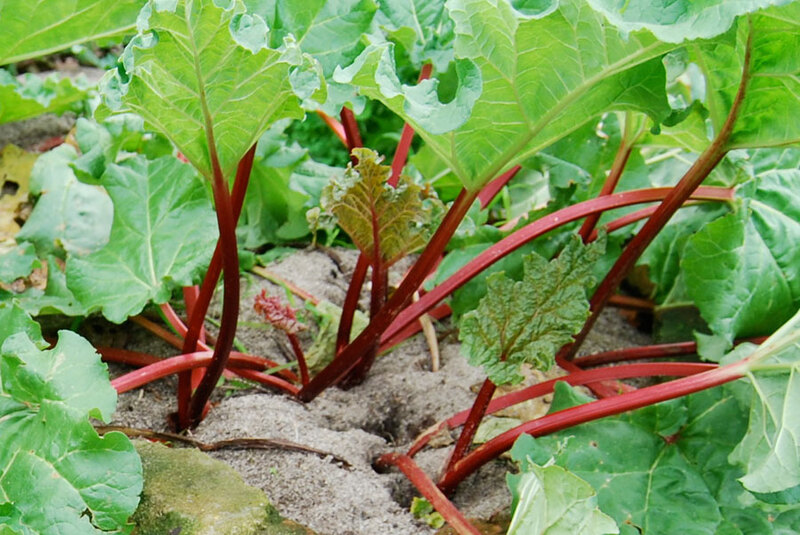 Allow new plants to grow for their first year without harvesting the stems – this will allow them to establish strong and productive root systems for future crops. Stems are best picked when they turn red from spring into summer. 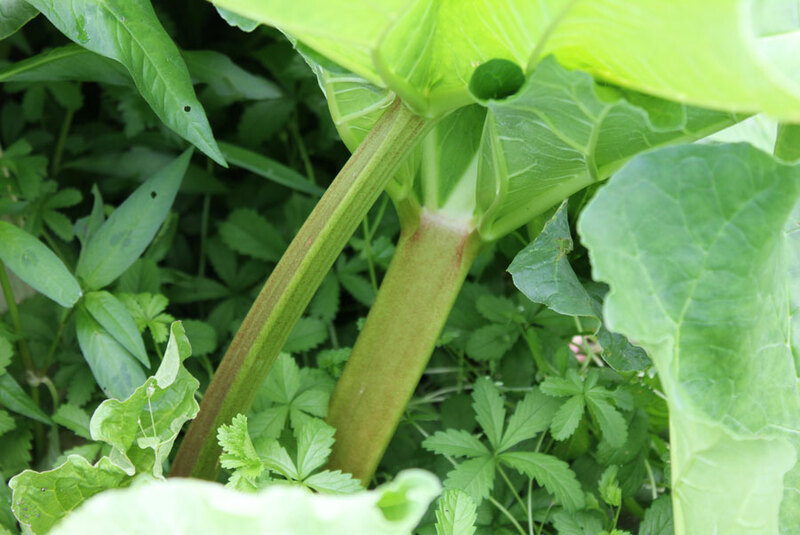 Bend the stems away from the plant and then pull so they pop out of their joint with the crown. 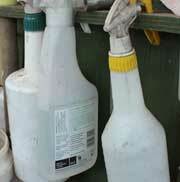 Cut away the poisonous leaves and put them into your compost heap. You can speed the process up by putting an upside down bucket over the young developing leaves (this is called ‘forcing’ and the early crop of light-deprived stems are tender and sweet). The only thing is that ‘forcing’ weakens a crown so only do this if you have several plants as they need to remain un-harvested in the following year as they recover. 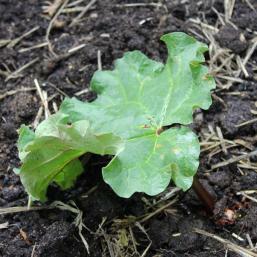 When summer gets too hot for Rhubarb it just gives up for a while and stops producing more leaves. 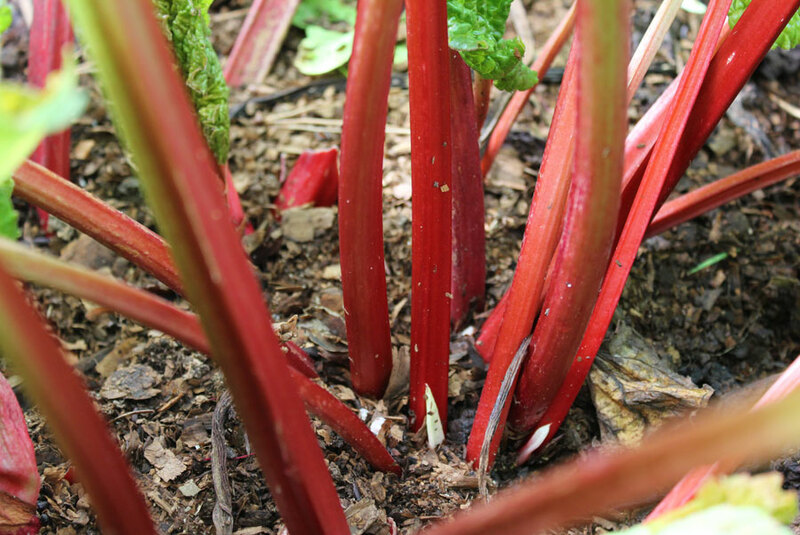 However, don’t give up on your Rhubarb it is just slowing down for the height of summer like the rest of us. 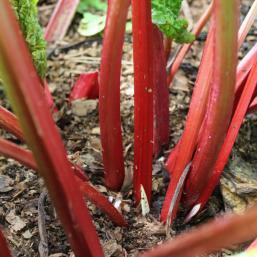 Rhubarb plants can get old after a few years and go a bit ‘woody’ in the center with the result that leaves become smaller and the all-important stems start to go skinny. If this happens, carefully dig up your dormant ‘crown’ in late winter with a fork and split it in half or quarters - depending on how big it is. 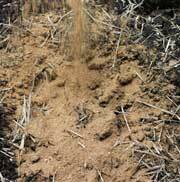 Do this splitting with a spade and then cut away the older parts of what was the center. You should end up with a few pieces at least a good handful in size with healthy looking roots and firm flesh. These can then be re-planted immediately - with soil level as was previous – or donated to friends.